Our Price: $50.00 Ships in 1 day. Comments: Dust jacket has edge wear and a few small closed tears. DJ also a bit yellowed. Otherwise, book is extremely clean and solid inside and out. A well-cared-for copy. 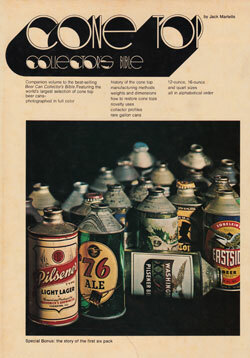 Publisher: Greatlakes Living Press, 1976. Hard Cover, 128 pages, 8.75 x 11.25. 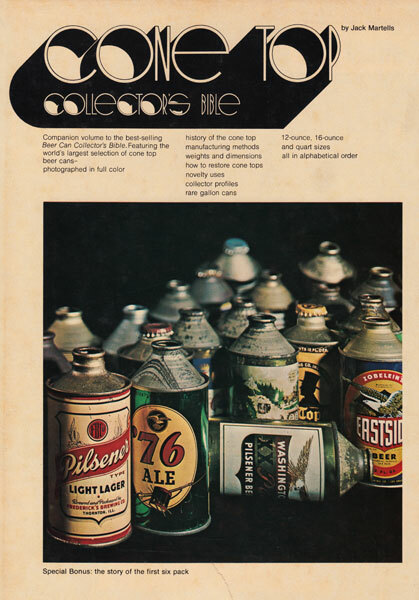 An early guide for collectors of cone top beer cans, showing cans in color. A very good early collector book.